How Can Root Canal Therapy in Asheville Save a Dead Tooth? Although no one wants to hear that they need a root canal, there are times when it is in your best interest. It can be the only way to save a severely damaged or decayed tooth from needing to be removed. While you may think that the tooth will be dead, making root canal therapy in Asheville seam pointless, this is not the case. 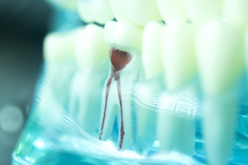 In fact, the procedure can essentially bring a dead tooth back to life. How many times have you received a dental crown or veneer that caused an eyesore because it did not match the color of your natural teeth? Now, you can get the perfect shade with VITA Easyshade V with Dr. John White. This advanced shade matching tool allows Dr. White to create restorations, veneers, and prosthetics with reliable accuracy. As the most precise shade-taking device on the market, your dentist in Asheville will find your appropriate color in a matter of seconds. Here! Have a piece of gum! Bet you never expected to hear that from a dentist. Asheville dentist Dr. John White routinely encourages his patients—especially young children—to chew gum with Xylitol. In fact, we have a box full of different flavors for you to choose after your appointment. 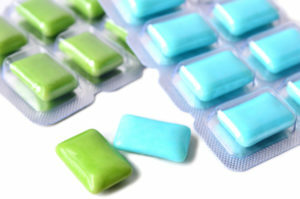 Read on to learn about the oral health benefits of Xylitol.